Bingo takes place in the Hollywood Centre every Thursday night at 8.30pm. We have two jackpots – €3,000 and €2,250 to play for each week. The winning numbers in last week’s lotto were: 1, 4, 14 and 20. No winner. The €50 winners were: Colette Cullen, c/o Hollywood bingo, Shane Corrigan, Hollywood and Ned Fitzsimons, Brittas. Our Lotto jackpot now stands at €7,400. Get your tickets for the next draw 3rd July from the Hollywood Centre, Daly’s shop and local sellers. Annual Blessing of Graves – Saturday 28th June at 6pm Mass. Sports Day – Sunday 13th July. Hollywood Fair 13th – 17th August. Just starting out or picking up a guitar for the first time in a long time? Looking for creative ideas for your next album release? Patient, constructive and experienced Guitar tutor available for 1-to-1coaching. Acorns Playschool are now enrolling for September 2014. There are still places available on the ECCE scheme. Drop in to the Hollywood Centre Monday to Friday between 9.15am – 12.15pm or call Bernadine on 087 2406316. Kare Tractor Draw will take place on Saturday 28th June at 8.30pm in the Hollywood Inn. There will be street music, great craic and everyone is welcome. Please support. All money goes towards purchase of a new bus for Kare in Blessington. Friendship Club takes place every Wednesday in the Hollywood Centre from 2.15 –4.15pm. All welcome. There will be an Open / General meeting on July 1st at 8.30pm in the Hollywood Centre. All welcome. 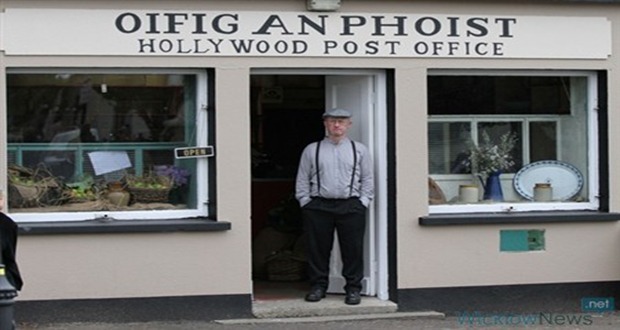 Whist will take place in the Hollywood Centre on June 30th at 8.30pm in aid of Tidy Towns. Top score €50. €5 entry including supper. All welcome. This year the Hollywood Fair Committee are producing a Pictorial Booklet showcasing a selection of photographs of the Fair over the last three years. Please submit any photos you may have for selection by email to [email protected] or drop them into the Centre in an envelope with your name clearly printed on it. Photos should capture the essence of the Fair and all it is about. All photos will be printed in black & white as in the 1950’s. Closing date for submission is 29th June. Hollywood Parent & Toddler Group meet every Thursday in The Hollywood Centre from 10am to 12noon, cost is €3 per family. Parents / carers can enjoy a chat & light refreshments while the little ones play! New members always welcome, just drop in.